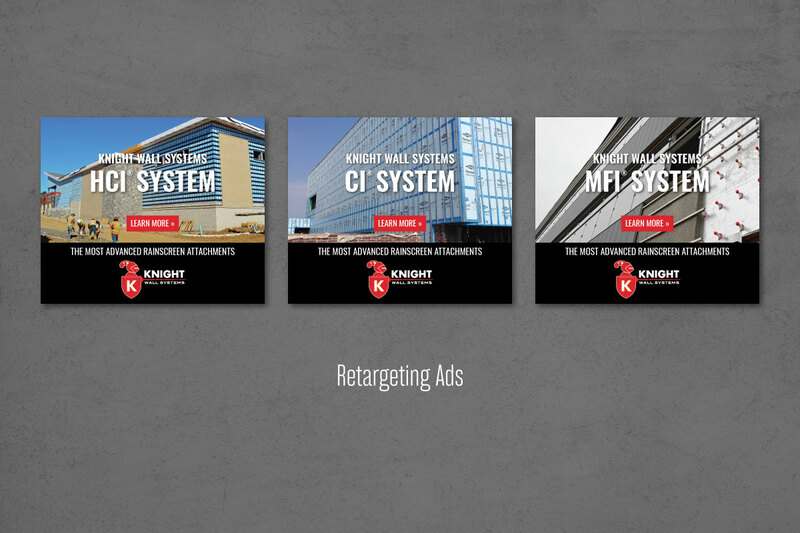 Knight Wall Systems is the industry-leading manufacturer of exterior cladding mounting systems for industrial buildings. 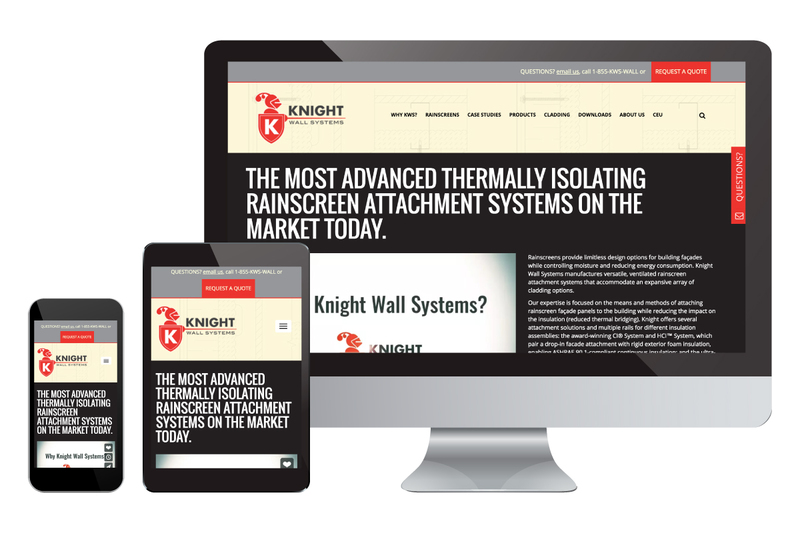 As a long-standing DrawBridge client, Knight has come to us for website design and development, sell sheet design, retargeting ads, case studies, and more. 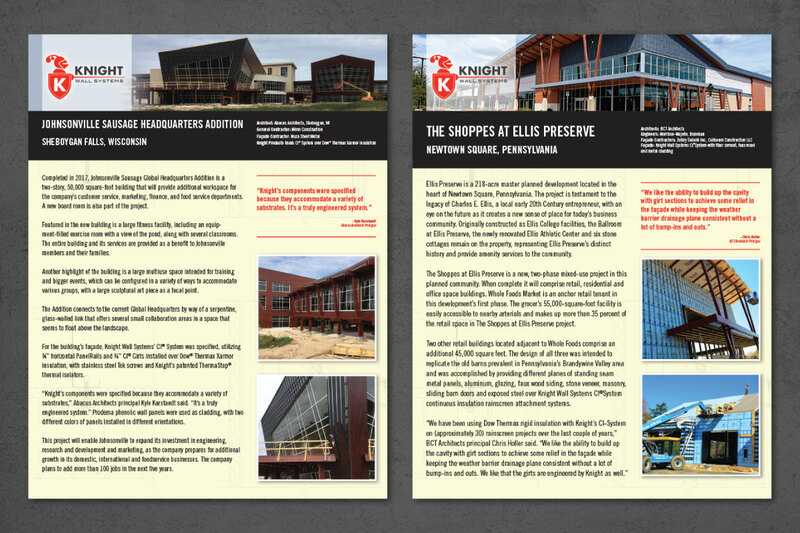 We have also worked for their sister companies: Knight Construction and Knight Boat Docks. The website is designed to be a comprehensive resource, providing information on materials, use-cases, construction specifications, and more. The information can be downloaded via pdf, viewed through embedded video, and read on-screen. We incorporated a gallery of case studies on the website to showcase their versatile installations across varied environments, for both residential and commercial projects. Supporting design work, in print and digital formats, maintains the educational tone and is organized to be easily-consumable by the target audience.